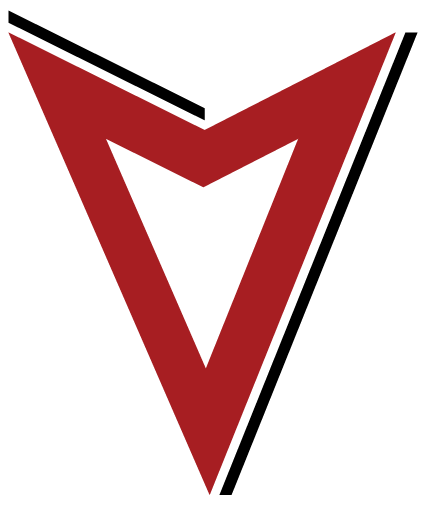 The MARK is dedicated to providing the best entertainment value in Elkhorn. Grab some friends and join us on out outdoor sand volleyball courts. 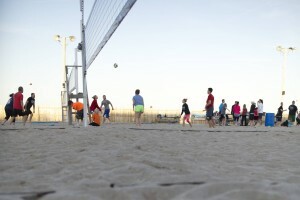 We offer 9 full size sand courts for fun or league play. 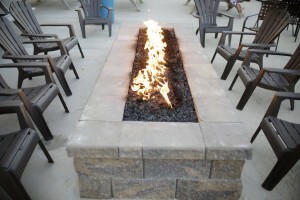 We have a full service bar outside with two awesome fire pits for those cool Nebraska nights. Grab dinner on the patio with friends and family. Cozy up while you watch a game or sit back and grab a drink and relax after your league play. We offer Spring, Summer and Fall sessions, playing Sunday through Friday at multiple time slots. If you are looking to book more than 4 teams for your business, please email us.  Interested in hosting a tournament for fun? 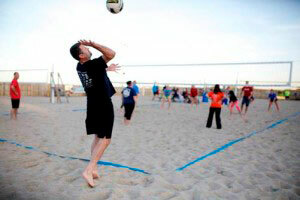 How about a corporate volleyball tourney for fun with your employees? Need a place to have a volleyball fundraiser? For more information, contact one of our Event Coordinators or give us a call at (402) 289-4614. *Outside food and drinks are not permitted unless approved by the management staff. For More Details or Questions Contact Us for Questions!